A pet urine test gives you the results of urinalysis related illness including bladder infections, kidney stones, and urinary tract infections. This can be very handy for pet owners whose dogs experience UTI’s frequently (learn more about treading UTI’s). Instead of taking your dog to the vet for a dog UTI test, you can conduct one at home by purchasing a urine test for dogs. Then you can consult your vet about administering your dog’s medication, if needed. 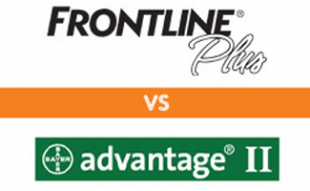 There are two companies we’d like to discuss with you in regards to their urinalysis test for dogs: Petnostics and PetConfirm. We review them both below. Petnostics has two urinalysis tests: Urine Test Kit and Disease-Specific Tests. We’ll go over the details of both below. Bilirubin: Too much bilirubin can lead to liver disease such as jaundice. Small amounts of bilirubin in your dog’s urine is normal. Blood: Blood in the urine can be a cause of cancer, familial hematuria (hereditary) or urinary tract infections (UTI). Glucose: If glucose is found in your dog’s urine it could be due to a variety of complications, which is why a vet’s care and attention to it is important. Ketones: There should be no ketones in your dog’s urine. 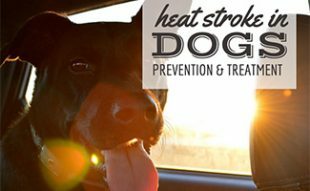 If there is, it typically means your dog is burning stored fat for energy instead of glucose. This is common for pets who refuse to eat or have diabetes. Leukocytes: Leukocytes are also called white blood cells, and it is best when few or none are found in urine. When more are present, it can mean your dog has a bacterial infection. Protein: Protein in your dog’s urine can be associated with lower urinary tract disease, renal dysfunction or damage or reproductive tract disease. Urobilinogen: Urobilinogen is a break down of hemoglobin in your dog’s red blood cells. A small amount in your dog’s urine is normal. Abnormal levels of urobilinogen can mean your dog has hemolytic anemia or gallstones. Each Urine Test Kit can be used one time. The Disease-Specific Tests are ideal for pet owners whose pet suffers from a chronic condition. They are meant to be used to help monitor your pet’s health status from the comfort of home. Examples of these health conditions include diabetes, UTI’s and bladder stones. Each Disease-Specific Test includes five test strips. PetConfirm offers the Dog & Cat General Wellness Testing Kit, which tests for UTI’s, hematuria, kidney failure and diabetes through urinalysis. After two minutes of testing the urine, you’ll have results. Each General Wellness Kit includes two tests. 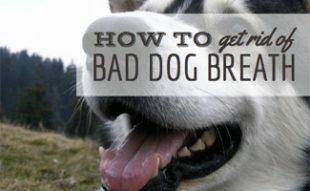 Why Should Your Analyze Your Pet’s Urine? Even if your pet doesn’t have any health conditions, you can still test their urine. Urine test strips for dogs can display warning signs before an illness is too far advanced. As a friendly reminder, a urinalysis test for dogs isn’t meant to replace your pet’s annual vet checkup. These are meant to be used as a preventative form of testing to help keep your pet healthy in between vet visits. Why are you considering using a pet urine test? My Bichon is a Diabetic with Immune Mediated Neutropenia and Cataracts for the last year and a half she has spent numerous visits to the animal hospital vets and had been on a quite extensive medication regime and surgeries. About 6 weeks ago she started having blood in her urine took her to vet and results were UTI E.coli bacteria, 1 week antibiotics, off 3 days and returned so another 10 days of antibiotics, off 3 days went for another follow up, still same Bacteria, increased the dose and was on for another week, 3 days off again went back to Vet results still with same bacteria. Stopped the antibiotics and she is on the Cranberry pills which may after a week might be causing some GI issues although I give her pills to help her GI. Doctor said maybe start Bactrim after 2 weeks. Also wondering what diet should she be following? Is Organic Apple Cider Vinegar good? Challenging because she’s also a diabetic. Cost are $1,500 so far with the costs of the tests and prescription medications and would be nice to cure her with more of a natural remedy. I’m not keeping the Vet out of the equation but it’s good to get other opinions. Thank you. Oh no, I’m sorry for both of you Susan. UTIs are not fun to deal with. 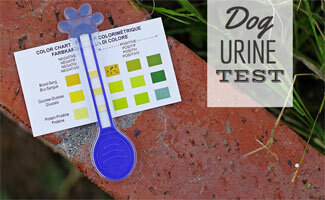 Have you conducted a urine test on your dog yet? My name is Sandy. I just did this urinary test on my lab who has been squatting all day to urinate and had 2 accidents in the House for the first time in 5 months. She is 8 months old …it was positive for Nitites and negative for leukocytes. Hi Sandy, We would recommend that you contact your vet for a better understanding of these results and to get a second opinion. This may require more testing but it wouldn’t it be best to treat a minor issue before it progresses to something worse? Hope your pup is feeling better soon. I have recently seen a little blood and tiny particles, nitratres? In my 10 lbs, mix breed pouch.I have staring giving him recommended doses of apple cider vinegar with food or water, and also bought a natural cranberry juice, no sugar added to water bowl, he likes it.. and adding small chopped pieces of organic parsley to his home made food and giving him a small amount of vanilla yogurt with tons of proboitics as an eveving snack. Also purchased Wellbeing pet drops on Amazon for UT health. been 4 days, he peeing/pooping/eating has normal, do you recommend I take him to my Vet for blood and urine test. I want to, but these test get very expensive, as well I know they will put him on Antibiotics, I really rather not, my pouch has a sesitive stomach as it is. I’m sorry I don’t have any recommendations. I’m not a licensed vet and I’d hate to misguide you and it result in something serious happening to your pet. We always recommend seeing a vet when you think something is wrong with your pet. If you cannot take your dog to a vet, perhaps this online vet service can help. Best of luck to you and I hope your dog gets better soon! This is so cool, I wish I had found this sooner, and somehow I didn’t see them on Shark Tank (but LOVE that show). Going to order one of these and see how it goes.